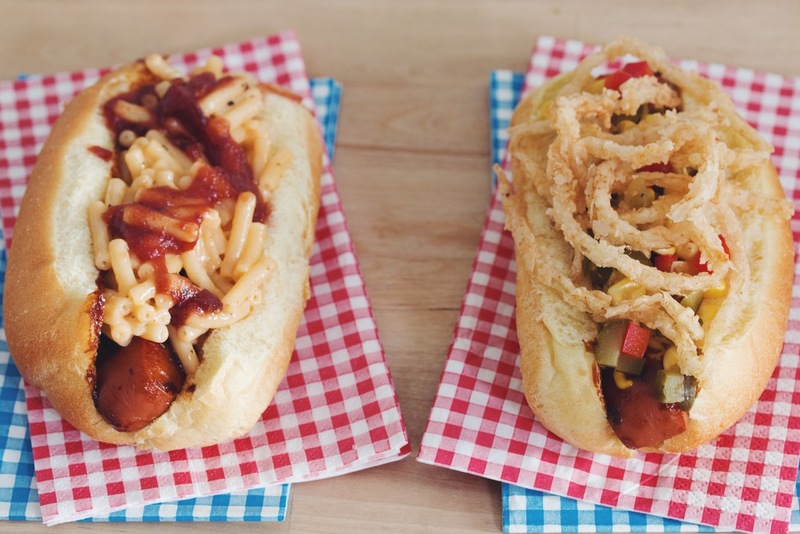 This mac & cheese hot dog won the first (unofficial) vegan hot dog challenge! To celebrate national hot dog day on July 23 I created the first (unofficial) vegan hot dog challenge on my YouTube channel! It was a close fight to the finish, but this lazy, stoner-friendly concoction took home the win. I honestly think it was because my supposed wild ingredient challenge actually helped this recipe rather than hindered it! The recipes for both dogs are below, but first watch how it all came together! 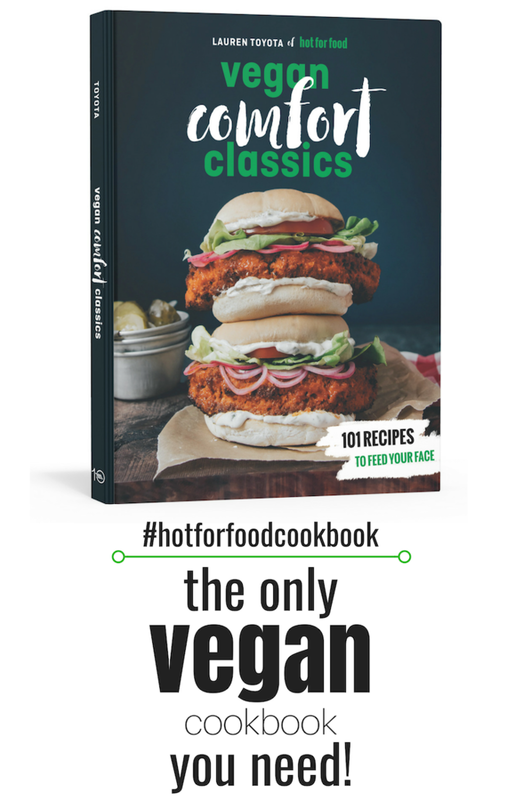 Yves Veggie Dogs were used in these recipes, but I really like Field Roast Sausages! And always grill or pan fry your dogs in a good slathering of BBQ sauce. If you’re looking for vegan hot dog buns, be sure to ask the bakery counter at your grocery store for the ingredient lists. Most house made buns are vegan. The ones used in the video do not contain egg despite their appearance! 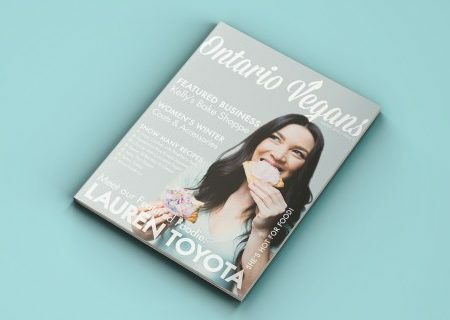 It's two comfort foods in one! 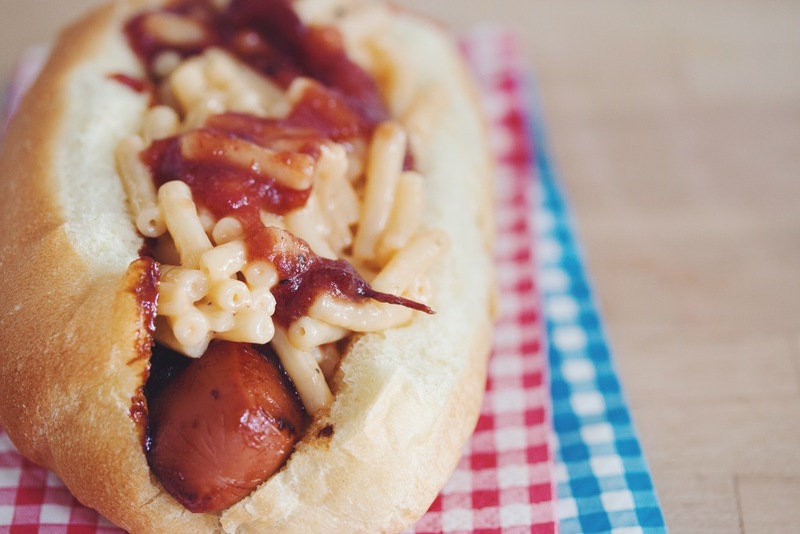 This hot dog smothered with mac & cheese is everything childhood dreams are made of. In a small sauce pan, heat all ingredients for the cranberry ketchup together over medium heat and bring to a low boil. Reduce heat and simmer for 10 to 15 minutes. Meanwhile, prepare boxed mac and cheese as per instructions on the package or to your liking. Add mac and cheese on top of hot dog and drizzle with cranberry ketchup. I picked up a box of the Earth Balance Mac & Cheese in the U.S. You can also look for other vegan friendly boxed mac like Daiya Cheezey Mac cheddar style or Road's End Organics Mac & Chreese. 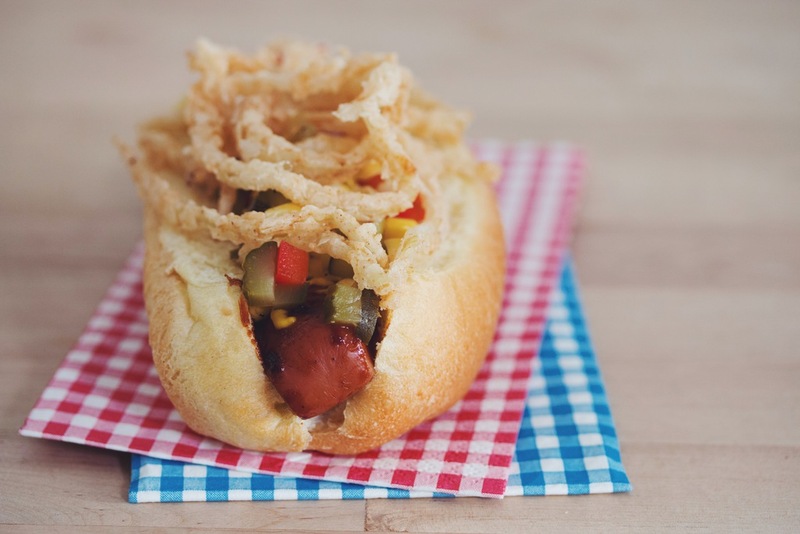 This hot dog creation turns up the heat a bit with spicy jalapeño corn relish, and has a great crunch from the crispy onion strings! To make the jalapeño corn relish, combine all the ingredients together in a bowl. Refrigerate until ready to serve. To make the crispy onion strings, thinly slice the onion. It works best to use a mandolin to get them even, but if you're great with a knife then try it out! They should be thin enough that you can sort of see through them. Pour the nondairy milk into a shallow dish and whisk with apple cider vinegar. Soak the onions in this mixture for 15 minutes. In a separate mixing bowl, combine the flour with smoked paprika, cayenne, sea salt, and ground black pepper. Heat your frying oil to 375°F in a heavy sauce pan. Using a pair of tongs, take a handful of onions from the liquid and coat evenly with the flour mixture, then submerge into the oil. You might need to use a fork to move them around in the oil a bit just to keep them from sticking to each other. They only take 2 minutes to fry up, then remove that batch with the tongs and lay out onto paper towel. Continue doing batches until all the onions are used up.